The new 2018 Honda Fit looks lower and wider than previous Fits. The overall profile is still a little hard on the eyes due to the stubby hood, but from the front and back it's an attractive hatchback. The new body cladding and optional foglights help make the car look better than previous Fits, which were too much of a city-car design. Inside, the Fit is car that will surprise a driver with ample headroom, legroom, shoulder room and even knee room. We drove the 2018 Fit back-to-back with the new 2018 Honda Accord and found the Fit to have more knee room for tall drivers. Our tester was the Fit Sport, which is based on the entry-level LX. We had trouble getting comfortable in the seats. They seem to cant forward as if to tip the driver onto the floor. There was no lumbar support in our tester. The manual seats crank for height, but the angle only worsens as one goes up. There are no optional power seats to remedy this. Leather seating (shown in the above image) with heat is available on the EX-L trim only. There is also no usable center armrest for tall drivers. We pulled the passenger seat up and rested our right arm on top of it, the same way we remembered doing in a 1990s Civic hatch about this size. 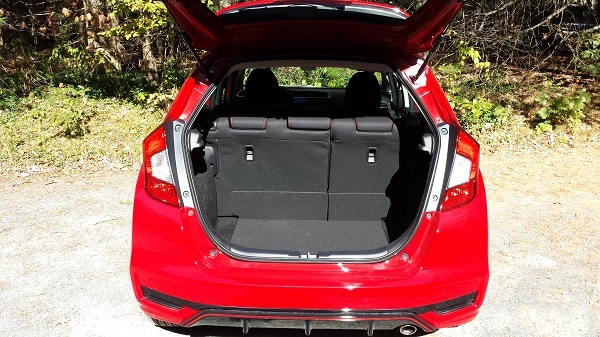 Seating in back is really a 2+1 arrangement, but the Magic Seats fold flat, opening up cargo space. Here is where the Fit really shines. The cargo area with the rear seats down will allow for a folded mountain bike to be stored, or any number of big, bulky items. Our Fit Sport had no navigation, the audio system was only adequate, and it lacked Sirius XM. However, all Fits above the base LX trim have Android Auto and Apple Car Play. We made full use of the Android Auto, and if we were buying would appreciate not having to waste money on an in-dash navigation system. The EPA-estimated fuel economy for the Fit is surprisingly low. Tall, short vehicles are not as aerodynamic as lower longer ones, and the Fit suffers because of it. The larger more powerful Civic has better fuel economy than the Fit. Rated at 31 mpg city, 36 highway and 33 combined, the Fit's official fuel economy is average for the small segment. 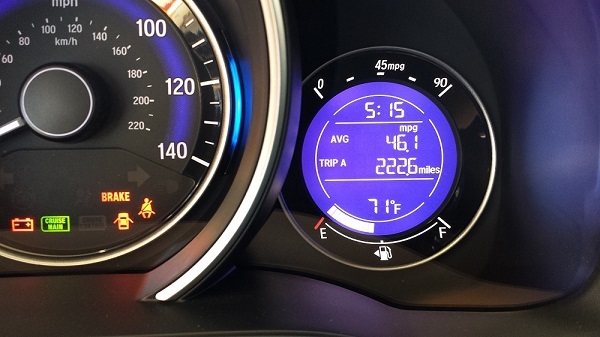 However, in our testing on a 200-mile highway drive, we achieved a displayed 46.1 mpg that translated to an actual fuel economy of a still impressive 43 mpg. That was without any hypermiling, and we pretty much flogged the Fit to keep pace with traffic. Hidden away in the EPA data on the Fit is its terrible smog rating. It earns just a 3 out of 10, with 10 being the best rating. Honda has fallen well below average on the JD Power 90-Day Initial Quality Survey. 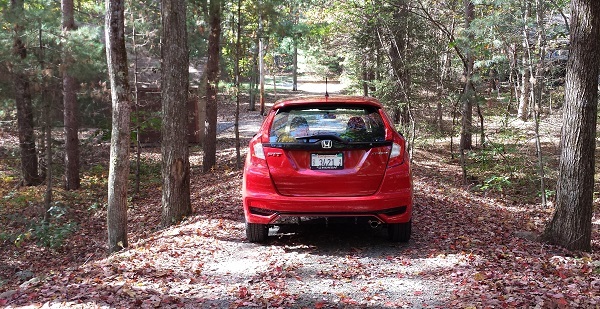 Consumer Reports gives the Fit a 3 out of 5 for predicted reliability. IIHS has not completed its testing of the Honda Fit for the current generation. It has earned Good scores on the crash tests done so far, but the difficult Small Frontal Overlap test has not gone well for past Fits. Honda Sensing, including automatic emergency braking, is available as an option on LX and Sport trims and standard on EX and EX-L. Given its small size, the Fit is not a vehicle that anyone would point to as an example of a safe family car. 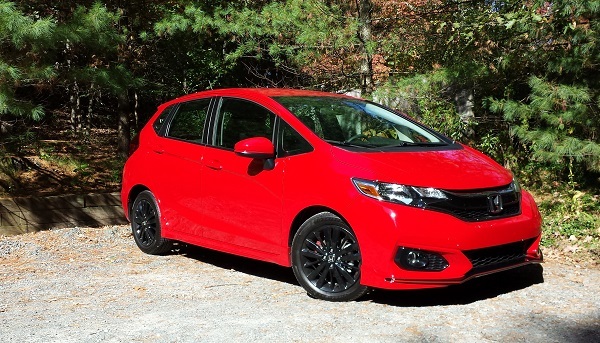 Despite its Sport trim name, we found the Fit slow for a modern car. The 130 hp engine doesn't seem to have the torque or power to move the Fit along at a rapid pace. That reality needs to be tempered with the low entry price point of the Fit. In that context, the Fit would be considered average. The Fit has a six-speed manual as its standard transmission. Our tester had the stick shift and it didn't make the car quicker or more enjoyable. We would opt for the CVT, which is standard on EX-L.
Handling is good and overall comfort acceptable. If you are imagining zipping in and out of traffic, you should test drive the Fit to see if it matches your expectations. We were also not impressed with the highway ride of the Fit. It seemed overly nervous and didn't give us the impression that any emergency maneuvers would go well. 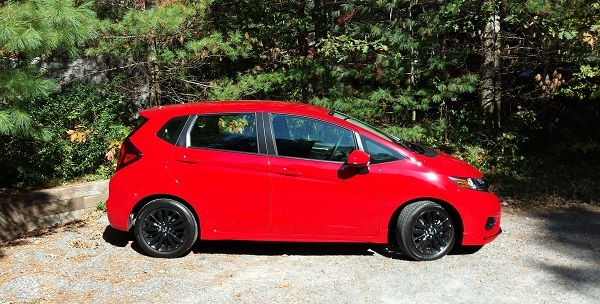 At an entry price of just $17,775 and a fully-loaded Fit costing $21,395, the Fit is a great value. Our Fit Sport had a price of $18,375. We would not recommend the Sport trim since it is strictly cosmetic. We would also not recommend the LX, since it does not have available Apple Car Play and Android Auto. 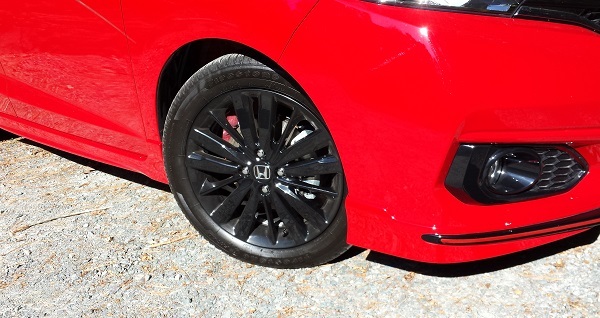 The EX and EX-L with included Honda Sensing look like the best value trims. Electric vehicles are encroaching on this segment with attractive lease deals and amazingly low used prices. The Fit is really in competition with the Chevrolet Bolt EV, Nissan LEAF, Toyota Prius Prime and all of the other less well-known EVs on the market. Base Bolts lease for $205 per month at the time of this writing, and most states offer rebates to cover the up-front lease cost. The Toyota Corolla iM is the Fit's nearest competitor and we would favor the Fit strictly for its Apple Car Play and Android Auto capabilities. Ford has some price-competitive models as well, but we would avoid those given their past reliability record. 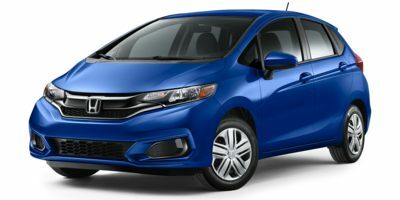 The Honda Fit is a roomy car for its class, and offers modern connectivity and active driving aids. If you're looking for an affordable car for mostly city driving, you'll find that it fits the bill. Interested to see how the 2018 Honda Fit ranks against similar cars in terms of key attributes? Here are the 2018 Honda Fit rankings for MPG, horsepower, torque, leg room, head room, shoulder room, hip room and so forth.